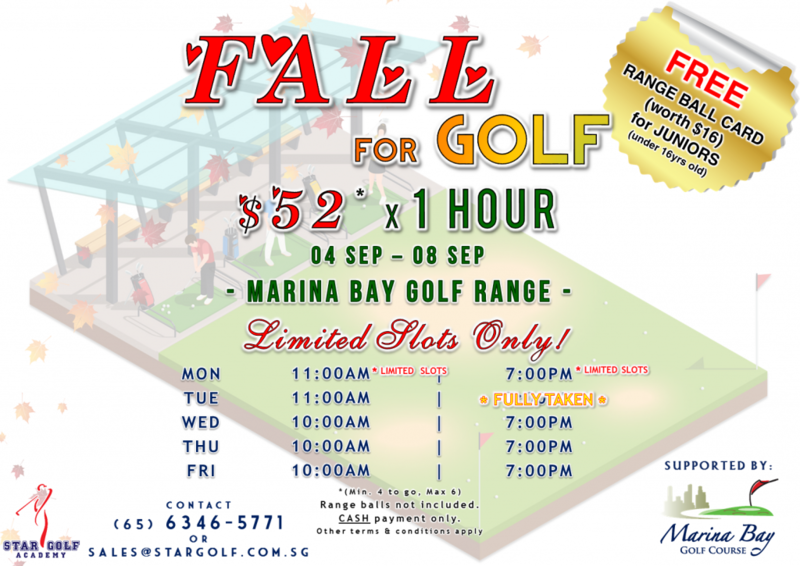 Each JUNIOR registrant (under 16yrs old) will receive a FREE MBGC RANGE BALL CARD worth S$16! 1 WEEK only, LIMITED SLOTS! REGISTER with STAR GOLF ACADEMY NOW!